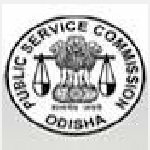 Odisha PSC judicial service recruitment 2016-17 notification apply for 153 posts : Odisha Public Service Commission OPSC welcomes Application for the 153 civil judicial service examination 2016 vacancies by direct recruitment. Candidates who completed their Law Graduate is a good opportunity.The individuals who are the occupation seekers searching for govt employments in Odisha this is the best chance to apply. Competitors read the official notification then read all the guidelines and miners precisely then apply before the last date online application got. All the interested and eligible candidates can apply online before 20th August 2016. Candidates Age Limit: The age of the candidate should not be less than 21 years and should not be more than of 35 years as on 1st day of August 2016. Academic Qualification Details: Candidates should have graduate in law from a recognized institute in India. Process of selection for the job: The selection of the candidates will be on the basis of career assessment and viva – voce. The government at their discretion may short list the applicants to a reasonable number for conducting interview by making a preliminary selection on the basis of evaluation of their academic career taking into account the requisite minimum educational qualification. Details of Fee particulars: All the interested and eligible candidates are need to pay a non-refundable and non-adjustable fee of Rs 300/- only. Applicants belonging to schedule caste categories candidates (SC) / schedule tribe categories candidates of Odisha and person with disabilities categories candidates are exempted from payment of this fee. Process of applying for the job: applicants may also send the print-put / hard copy of application duly signed under the declaration form along with fee deposit Challan / copies of relevant certificates and in an envelope should be super – scribed as the “Application for the post of assistant Fisheries officer” by registered post / speed post to the special secretary “Odisha Public service commission, 19, Dr. P.K Parjia road, Buxi bazar, Cuttack:- 753001 on or before predscibed date. Important Dates: All the interested and eligible candidates can apply online before 20th August 2016.